Firstly, that stress is an asset. The soils at Wharram Quarry vary but in the heart of the site the soils are extremely thin and in many places are simply exposed chalk. It’s almost standard practice for landscape architects and gardeners to start a new project by ameliorating the soils (by which we typically mean enriching, loosening and mulching) but Wharram Quarry shows that whilst we think we are ameliorating the soil, what we are actually doing is working in denial of the underlying soils and hydrology and making this new place the same as every other place we’ve worked on. Stress plays an important role here in creating a complex web of niches that specialist plants can exploit because uniform topographies tend to result in monocultures. The quarry shows that huge floral diversity can be found in places where gardeners would tear their hair out- we need to work with the soils and the hydrology and select plants that are suited to the conditions. Secondly, we need to work with communities of plants, rather than individuals. What makes the plants at Wharram Quarry so ecologically robust and aesthetically beautiful are the scale at which the groups of plants occur, the rhythms in their distribution, and most importantly, the overwhelming sense of ‘fit’, by which I mean not only the relationship between the plants and the soil but the relationships between the plants. 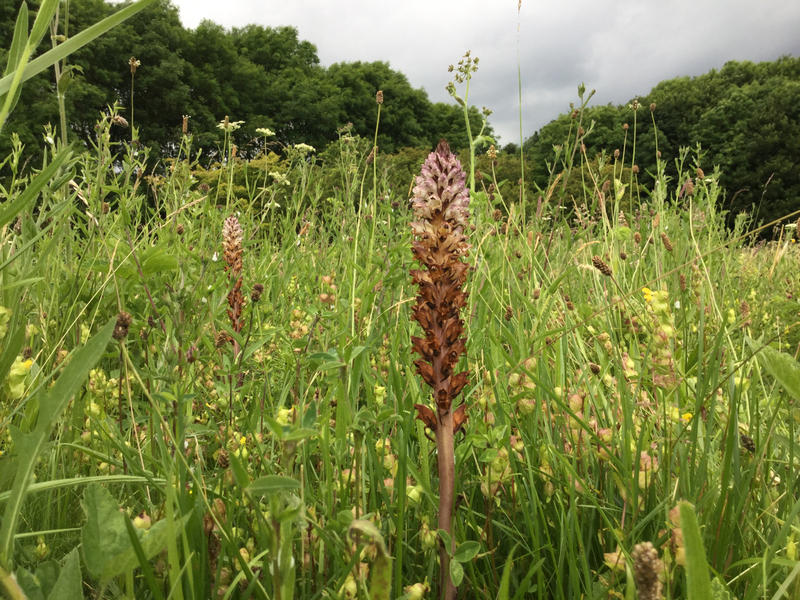 Think of all the Scrophulariaceae that live there: it’s no accident that Eyebrights, Yellow-rattle, Toadflax, Foxgloves and Speedwells are so well distributed and abundant, they are all genetically-related specialists with slightly different growth strategies, forms and flowering times. The same goes for Asteraceae and Fabaceae: plant life in nature is communal and in a designed landscape or garden, this approach speaks powerfully to us. Thirdly, that to design sustainable plant communities, we need to design in vertical layers rather than horizontal blocks. By thinking vertically instead of horizontally we acknowledge the role of competitive strategies: plants exploit different layers both above and below ground to exploit niches and reduce competition and designers can use this to make our plant communities more diverse. By doing this, we can regulate the soil hydrology better (especially important in conditions with thin soils like podiums or green roofs), achieve longer seasons of floral interest and reduce the management requirements. Fourthly, Wharram Quarry is managed, not maintained or gardened: little attention (if any) is paid to individual plants other than perhaps the Thistle Broomrapes. 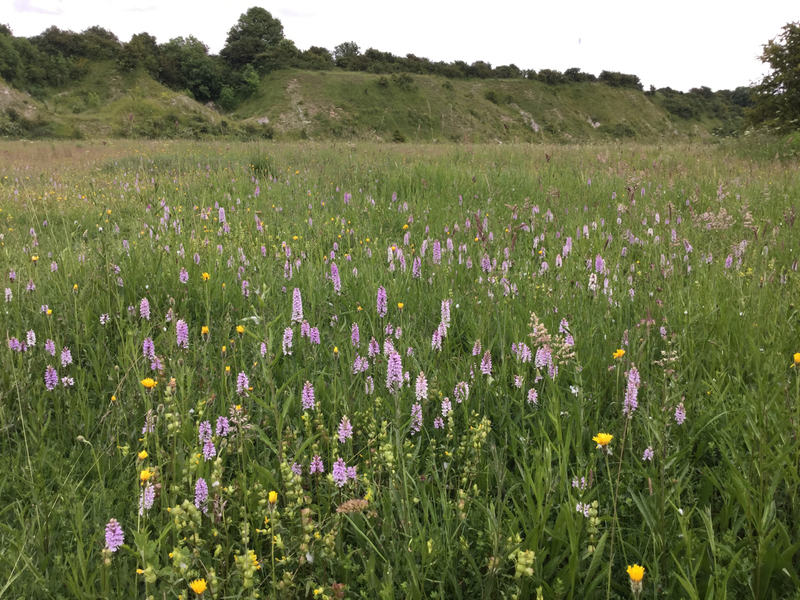 Instead, a small number of large scale interventions are carried out at larger timescales: the quarry is grazed later in the year and in 12 year cycles scoops of the top soil are removed, allowing specialists to exploit the exposed chalk. The important element within this approach is that management allows relationships to develop and for dynamic changes to take place. The lesson here for landscape architects is that we need to reduce or eliminate some of the most time consuming and expensive practices that we routinely specific such as hand weeding, watering, mulching, spraying, pruning and leaf litter removal, and act like referees instead of box-to-box midfield dynamos. The title of Rainer and West’s book (Planting in a post-wild world) points to the fact that now that ‘wild’ places no longer exist, we need to think differently about the relationship between plants and place, and the roles we expect plants to play in the 21st Century. 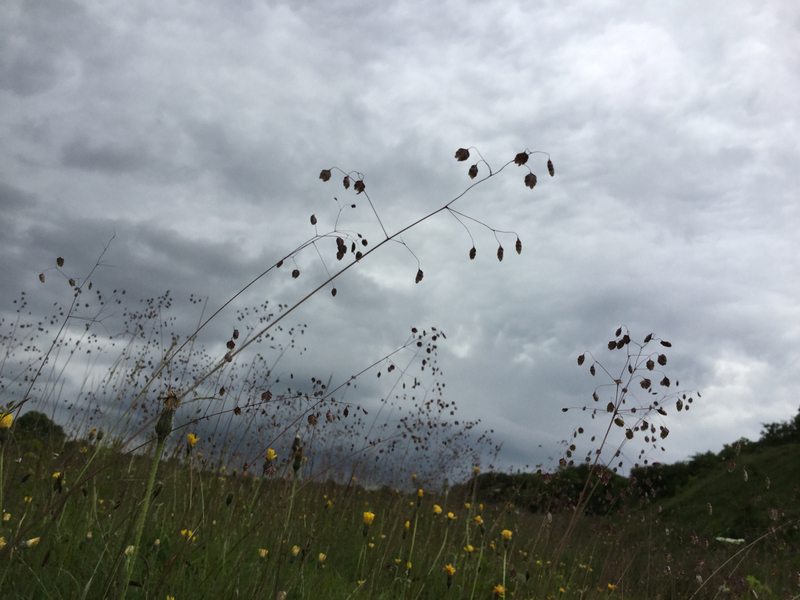 The lessons from post-industrial landscapes like Wharram Quarry are not literal ones about what native plants to use, rather that the plants we see in places like Wharram Quarry are expressions of underlying ecological systems that have predictable forms and relationships. By working with these relationships in our design processes, we can create post-wild urban landscapes that support riots of life and colour.